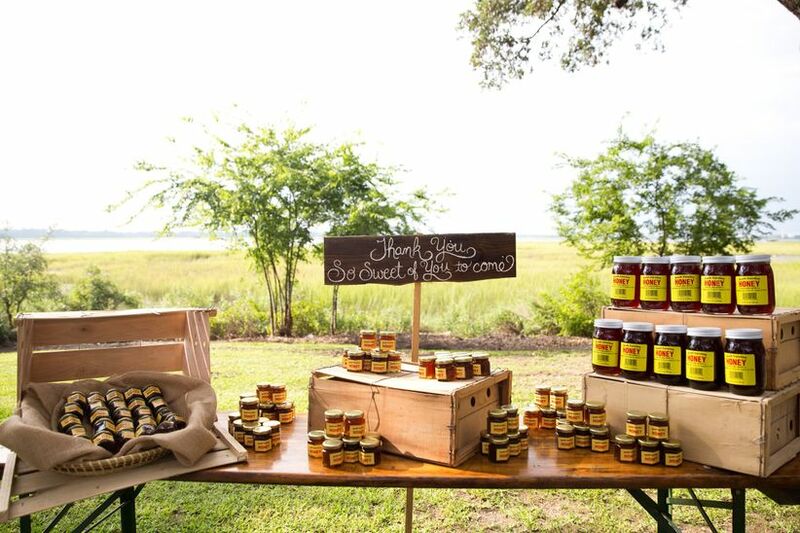 It's always a nice gesture to hand out favors as a way of thanking the guests who attend your wedding. Here are some of our favorite ways to display them! 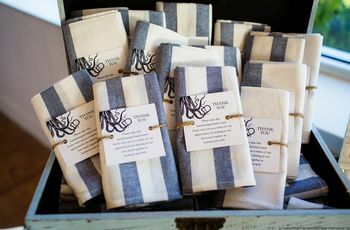 It's always a nice gesture to hand out favors as a way of thanking the guests who attend your wedding. 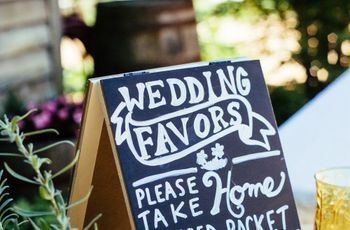 If simply arranging the favors on a table at the reception isn't your style, keep reading for some of our favorite display ideas. A simple bunting banner with a sweet message makes all the difference. 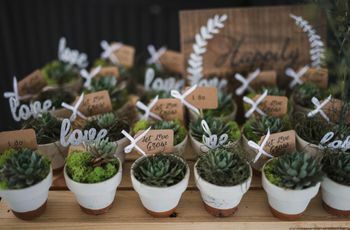 If you're serving edible favors, consider pairing them with disposable utensils for added convenience. Your snack-happy guests will love it! 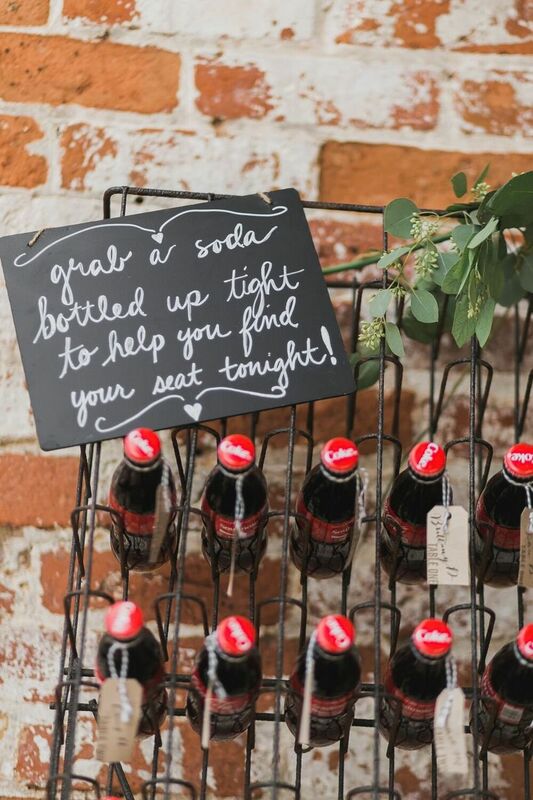 If you're handing out vintage-inspired favors (such as glass Coke bottles) repurpose a salvaged piece for a unique, unexpected display. 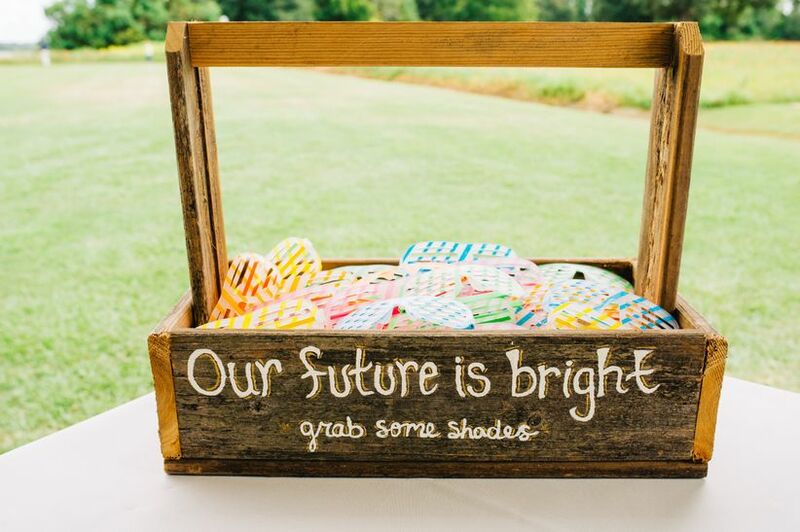 Dress up a simple wooden box with a punny message to go along with your favors. 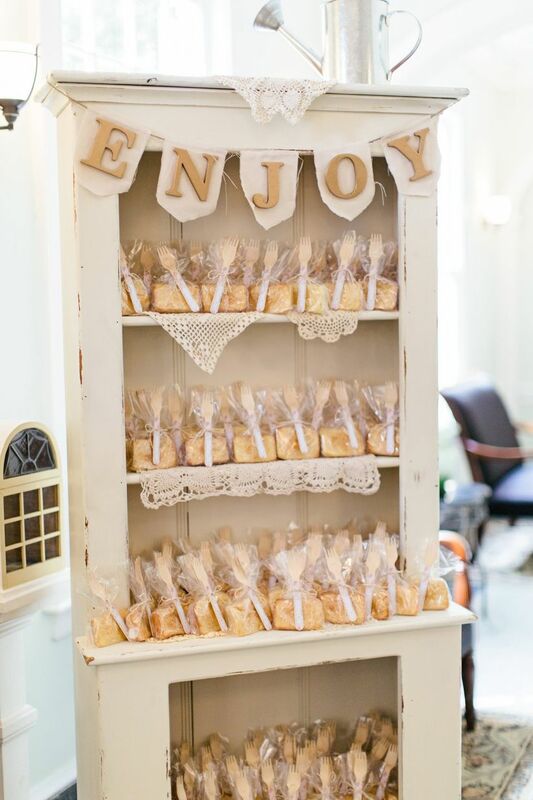 Create a favor display that doubles as decor at your reception. 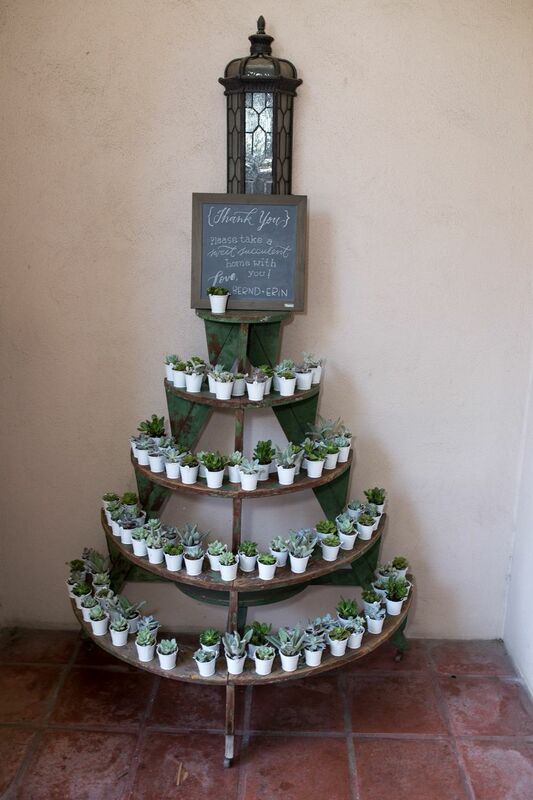 We love this tower of potted succulents! 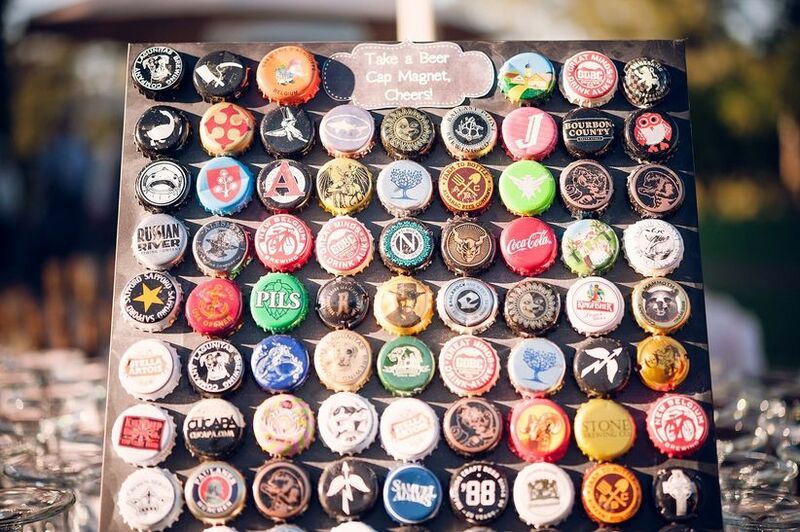 This idea works especially well if your favors happen to be magnets, but you can create the same effect by using a board with rows of hooks or nails. 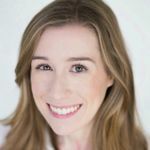 Don't hide your favors in a back corner of the room, show them off! 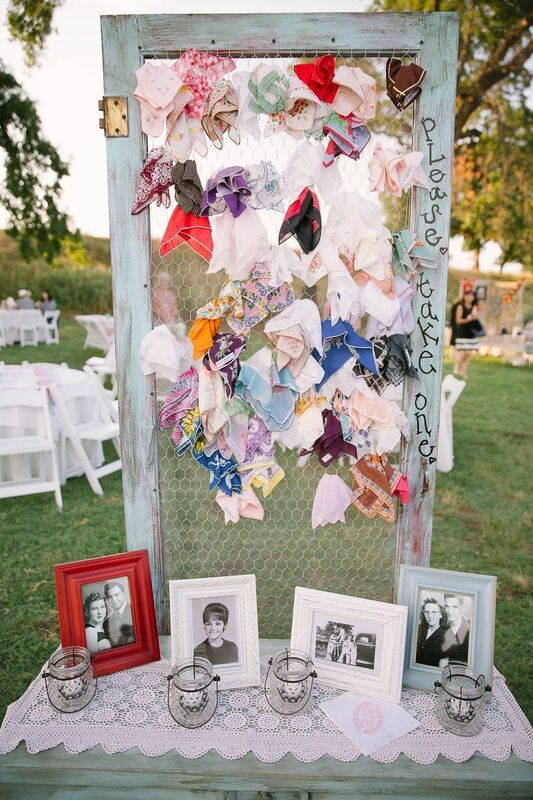 Display them with family photos or other meaningful knickknacks at the entrance so your guests can't miss them. 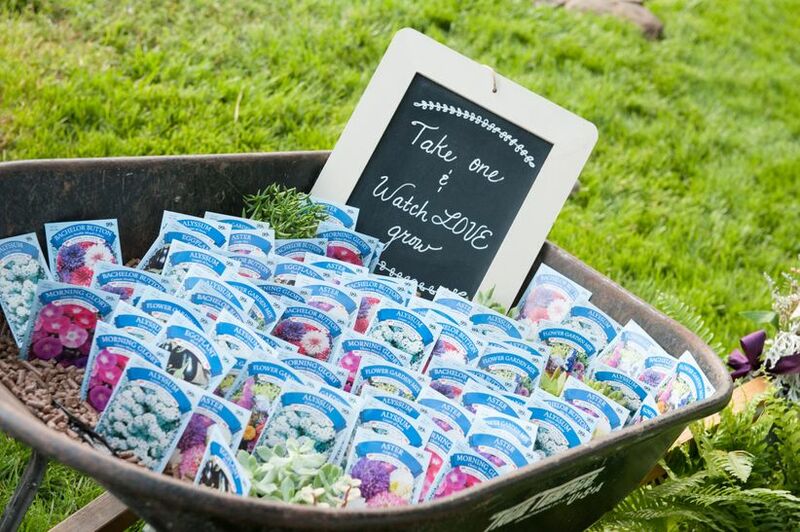 We love how cute these seed packets look in this vintage wheelbarrow! 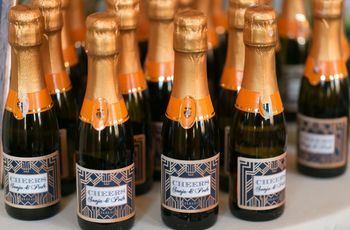 If your venue has a cool wall installation or other decorative accent, use it! Just be sure to ask the venue's permission first. 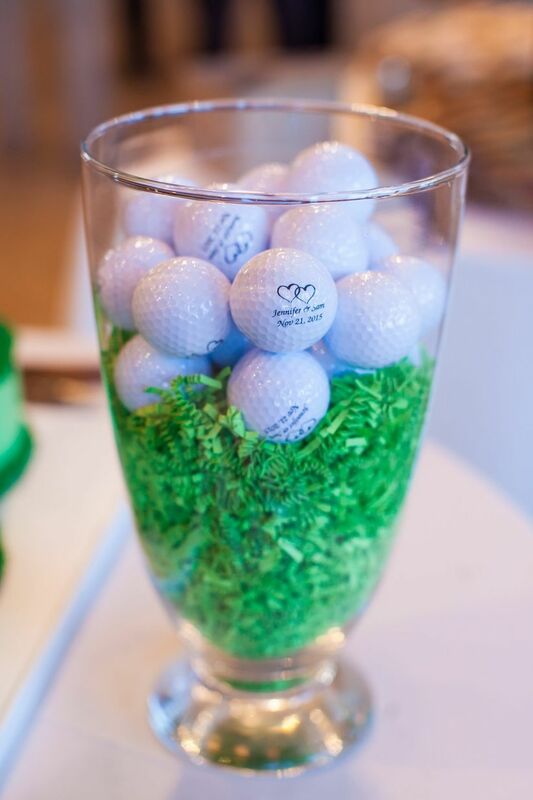 If your favors are small enough, display them in glass vases around the reception. For an eclectic look, use mix-and-match vessels. 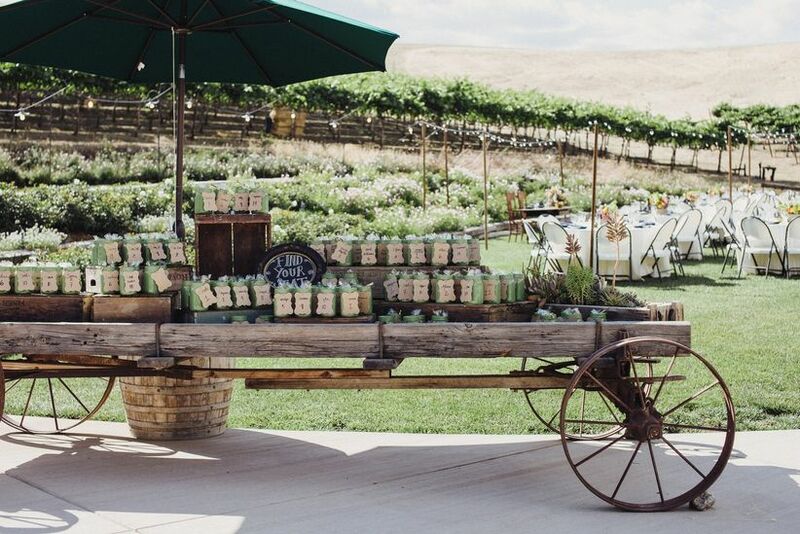 We especially love this moss-covered display for a garden wedding. 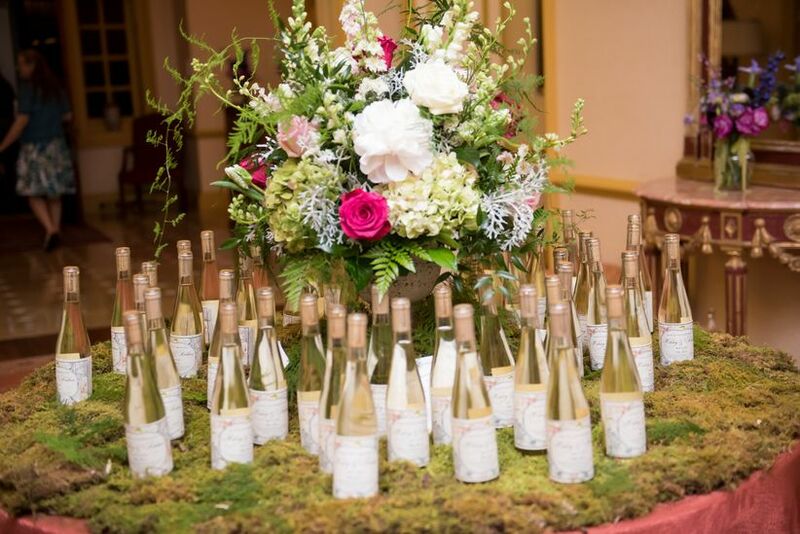 Ask your florist for their input on how to create a unique arrangement for each reception table.